Following recent discussions with the Treasury sub-committee, HMRC have updated their guidance on the settlement terms being offered for disguised remuneration and contractor loan schemes ahead of the loan charge in April 2019. The Loan Charge will apply to all disguised remuneration and contractor loans outstanding on 5 April 2019 unless a settlement is agreed with HMRC before that date. It is not too late to settle but all information necessary to agree settlement must be with HMRC by 5 April to avoid the loan charge. Taxpayers wishing to settle who have taxable income of less than £30,000 in the current year will be offered 7 years to pay. There is no maximum time limit for payment arrangements. 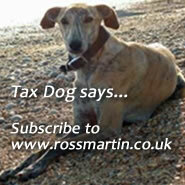 6,000 cases have been settled to date and HMRC have issued 9,000 terms of calculations to people. This is out of an estimated total of 50,000. The typical settlement amount is £13,000. It is taking about 4 weeks to come back to people after they register with HMRC. HMRC say past experience is that 75 per cent of those affected will come back and settle; if this proves correct then a further 31,500 settlements still need to be agreed, with just two months to go before the loan charge comes in. Anyone who has not yet registered is advised to contact HMRC as soon as possible. A step by step guide to how to apply to postpone the loan charge if you meet the requirements to do so.